Warner Bros. has officially announced a release date for its long-in-development The Batman written by director Matt Reeves. Ben Affleck confirms he’s no longer Batman on Twitter as the studio sets The Batman release date for June 25, 2021. Subscribe or bookmark this page to be the first to get the latest The Batman news, cast announcements, release date changes, set photos, posters, trailer and clips. The studio’s latest incarnation of ‘Batman’ is said to be similar to the original Detective Comics character “The Bat-Man” created by comic book artist and writer Bob Kane and Bill Finger. Director Christopher Nolan’s ‘Dark Knight Trilogy’ grossed over $2.4 billion worldwide, but the studio has had trouble developing another Batman solo movie ever since. ‘The Batman’ was originally announced as a vehicle for Ben Affleck to write, direct and star, but the studio’s disappoint with the performance of Justice League (2017) solidified the end of Affleck as the Caped Crusader. Matt Reeves (Planet of the Apes Trilogy) replaced Affleck as writer and director in 2017, but the project seemed to remain in development limbo until now. ‘The Batman’ (2021) plot details are being kept under wraps and no cast has been officially announced, but the story is said to focus on a younger Bruce Wayne (than we have seen in previous films) and Batman’s Detective Comics roots with plans of having him face off against a rogues gallery of villains. This means classic villains like Penguin, The Riddler, Catwoman and even Joaquin Phoenix as Joker could appear. Shooting could begin as early as November of this year. 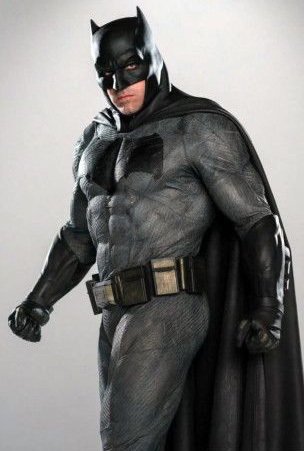 The most recent appearance of Batman starred Ben Affleck as an aged and vengeful version of the character in Suicide Squad (2016) and Batman v Superman: Dawn of Justice (2016) with a much more lighthearted interpretation in Justice League (2017). The Batman (2021) finally gets a release date, and the search for the new Batman begins. Are you looking forward to the next chapter in the ‘Batman’ franchise? Let us know in the comments below!